There have been three primary complaints about the 3DS: a hefty pricetag, an inexcusable lack of 3D games, and poor battery life. The first has been solved by way of an eye-popping pricedrop, the second is still a significant problem for our favorite fledgling handheld, and the third may be (?) solved in future iterations of the system. For those of us who prefer not to wait for Nintendo to redesign the battery, Nyko has a very acceptable third-party solution. Here she is, the Nyko PowerPak+. I’m not being an apologist for Nintendo to point out that the 3DS is a monster in terms of energy consumption. With two screens (one running stereoscopic 3D) and a wi-fi connection, I’m not surprised that the battery life is terrible. Most of us want to play our games with the screens set to maximum brightness and full audio volume, and only the most energy-conscious gamer will remember to toggle the wi-fi connection when not in use. With all of these factors in play, my personal experiences with factory-installed battery were abysmal; I tended to get approximately 3.5 hours of playtime before that ugly red warning light flashed on. In one or two cases, I only had a few moments notice before the system shut down, though I was typically able to save my game and close the system before total battery failure. Enter Nyko; this was my first purchase from this third-party hardware developer, though a survey of internet reviews made it seems as though I was last to the party. I’ve definitely spotted some of their products at friends’ houses (specifically their Wii ‘Wands’ and uncomfortable-looking ‘gun grips’), though I’ve mostly avoided 3rd party peripherals myself. In any case, I was having real problems getting maximum enjoyment out of my 3DS, so I figured Nyko’s substitute battery couldn’t possibly be any worse than Nintendo’s. I ordered my PowerPak+ from J&R.com, and the total bill came to just a bit over $20 shipped. Delivery took about 3 business days and arrived exactly as promised with original packaging and instructions. I couldn’t help but notice the box’s claim that the PowerPak+ ‘doubles the playtime of the original’. . . a boisterous statement that alerted my inner skeptic (as well as my inner cynic). 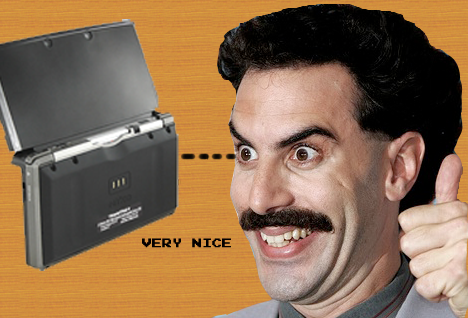 I’d spotted a few reviews that mentioned difficulty removing the screws from the back of your 3DS. I encountered no such problems; the Nyko package includes a tiny screwdriver for this exact purpose, and none of the screws on my 3DS provided any abnormal resistance. Following the provided instructions, it took only moments to remove the back cover of my 3DS and locate the faulty power cell. I was able to lift the factory battery out of it’s casing, slide the Nyko PowerPak+ into place, and replace the few screws that secure the PowerPak+. The entire operation required no more than perhaps 3 minutes start-to-finish and was even easier than I’d expected. You'll barely notice the added size of the battery. 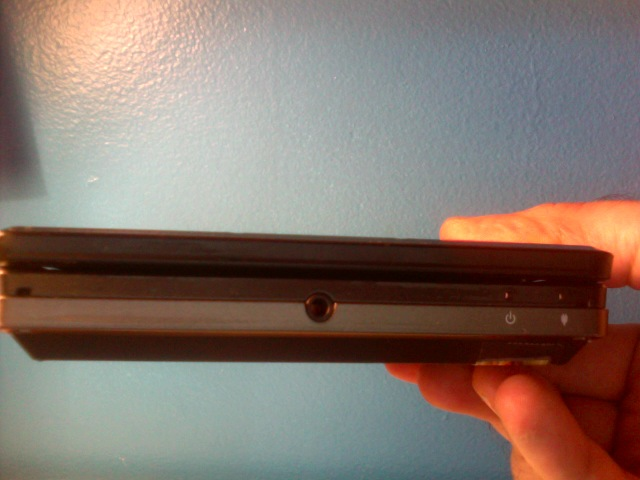 Your 3DS will be approximately 1/4″ taller and a little bit heavier after the Nyko battery is installed, but most players will not notice the difference in any meaningful way–it definitely does not interfere with your ability to hold or use the system comfortably. Now, the verdict: battery life. I purchased the PowerPak+ in early July 2011, and since installing the new battery, I’ve consistently played my 3DS between 5 and 15 hours each week. Over the course of the following two months, I’ve seen a dramatic improvement in the battery life of my 3DS, and I am able to give a 100% recommendation to this Nyko product. I give this item my full endorsement. On average, I only need to plug in my 3DS two times per week, though one of these is usually a preventative charge when I notice the remaining battery life is dropping below 50%. I rarely see the red warning light anymore, and I’ve yet to encounter a full system blackout. I often leave the system in sleep mode for several consecutive nights with no problems whatsovever–indeed, sleep mode doesn’t seem to have much affect on the battery life at all. Since installing the Nyko, I’ve taken my 3DS on a few cross-country airplane trips and never found myself running low on charge, even though I easily played at least 4 continuous hours of games on a longish San Francisco > Philadelphia flight. I’m not claiming miracles here–I definitely took a proactive stance on recharging the system when I play it for extended periods, but my point is that the Nyko replacement works the way that the factory battery should have–i.e. you don’t have to worry about it very often, if at all. I’ve never timed it to the minute, but I can state with authority that the PowerPak+ tends to last upward of 5 hours with no problems whatsoever. . . a very acceptable amount, in my humble opinion. I won’t lie; I’m a bit compulsive, and often toggle the wi-fi as needed to reduce power drain (ON when I’m roaming the world, hoping for a few more Streetpass tags, OFF when I’m at home, playing Xevious or NES downloads), but I always play with full brightness and volume and especially full 3D (where applicable). Besides switching the wi-fi, I’d say I expect the best battery life from my 3DS without any concessions or special treatment, and the Nyko replacement battery has fully delivered as promised. The charging cradle that came with your 3DS is not compatible with the Nyko PowerPak+, but Nyko also has a solution for that problem (a necessity for players who can’t bear the thought of a non-cradled 3DS). Myself, I opted not to spend the extra money on an additional piece of hardware and instead got myself a second AC adapter to keep in my backpack (grand total for generic 3DS wall-plug, $2.50, eBay) since I tend to forget the charger at home. 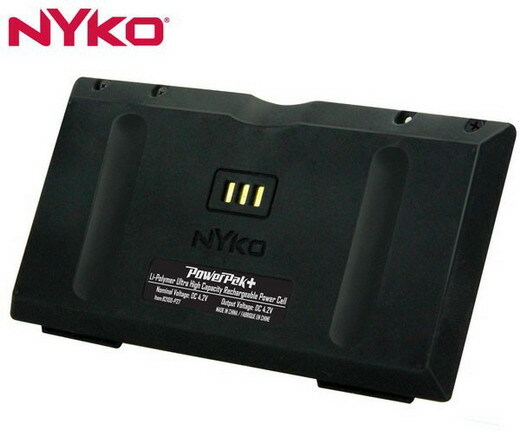 The Nyko PowerPak+ is a must-have for any serious 3DS user. Do yourself a favor and buy one today. No kidding about that battery. This is an important investment if you want to play around town like the gaming gentleman/lady that you are. Unless you have a reaaalllly long extention cord your your 3DS, yes, very required. Even months later, my Nyko is a game-saver.